As we finally begin to see a spring season here in the Tahoe Basin, the Forest Service and our many partners are assessing the impacts from the late fall through winter weather events. During that period, we experienced the fast moving Emerald Fire, significant rain and snowstorms, and a very long and wet winter, which only now shows signs of subsiding. I would like to first say thank you to all of the citizens, stakeholders and partners who helped us, and each other, get through those many challenges. Over the months, the spirit of partnership abounded with many examples of critical needs being met because people worked together. Though the Emerald Fire was an unexpected emergency, the fire agencies from around the Tahoe Basin responded and kept it from destroying structures and growing any larger. Following the initial response, the mid-October storm dumped 7 inches of rain in the fire area in 24 hours. Partners gathered, including CalFire, CalTrans, Tahoe Regional Planning Agency (TRPA), Lahontan and the Tahoe Fund. Each joined us as we implemented emergency stabilization efforts to ensure the runoff from the burned landscape did not reach the lake or impact the homes in the area and the safety of the highway. We also had several critical projects nearing completion when the fall weather events began. One of those projects, the Upper Truckee River (UTR) Restoration Project, was only days from wrapping up when the same fall storm event unleashed above the Emerald Fire. Within the UTR project, the 7 cubic feet per second (cfs) flows prior to the storm rose to 386 cfs within one weekend and as the river rose and tested our construction and restoration efforts, we kept the safety of our crew and the public as our top priority. While most of the project held as we expected, there were small portions of the project that gave way to the power of the water. Unfortunately, we found that the project was not in the condition we had hoped and felt we needed to take action. With the help of our many partners, we rallied and brought in fire crews from around the state to work alongside the experienced young men and women of the California Conservation Corps. Partners like the California Tahoe Conservancy, Lahontan Water Board and TRPA staff consulted on necessary mitigation measures and, in the few short weeks between fall storms, our team was able to construct a sandbag wall, place additional jute matting, and shore up some of the other vulnerable areas of the project. Overall the measures put in place held up well through the sizeable 5-year event in December and two consecutive 10-year events in January and February with flows at 2,470 cfs and 2,750 cfs, respectively. Today, we find ourselves taking a hard look at how best to proceed to finish this project. With the raised water levels and the extended wet meadow conditions that we will experience through the duration of this construction season, it is very likely that we will not have the opportunity to use the type of equipment necessary to make all of the necessary repairs. As such, our focus for the year will be to learn what we can from the challenges that this large winter has presented, consider any design changes needed to ensure the project will hold under the most extreme flow conditions, and prepare a plan for any needed adjustments moving forward. For us at the Forest Service, the weather events beginning last fall tested our resilience, and we needed the strength of those who came to help. For that, I am truly grateful. As we look to the 2017 field season, we will continue to evaluate the effects of this big winter, take steps to restore impacted lands, and build on what we learned to prepare for similar events. We will continue to monitor the impacts from the expanded tree mortality we observed in 2015 and 2016, and we continue to take steps to plan projects aimed at improving the overall health of the forests and watersheds within the Lake Tahoe Basin. These public lands in the Lake Tahoe Basin are YOUR lands. As public servants, we are merely the stewards for your lands and we want to hear from you. I invite you all to get involved and share your thoughts as we move forward, continually working to improve the health and resiliency of the watersheds that support Lake Tahoe. 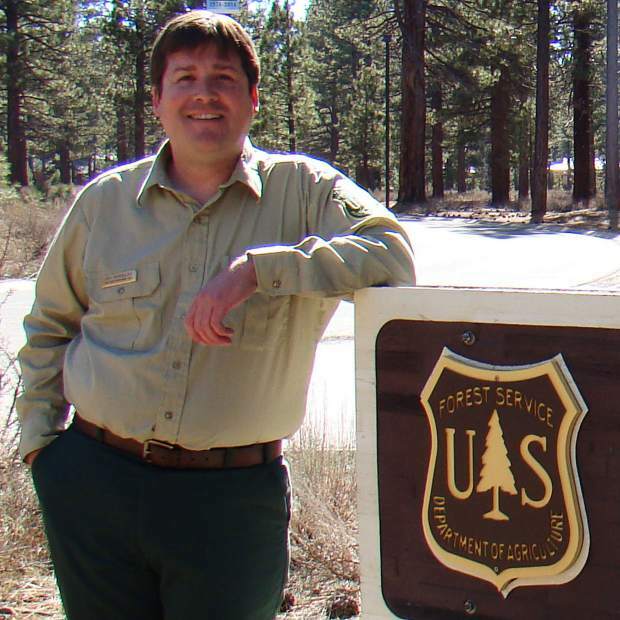 Jeff Marsolais if the forest supervisor of the Lake Tahoe Basin Management Unit.